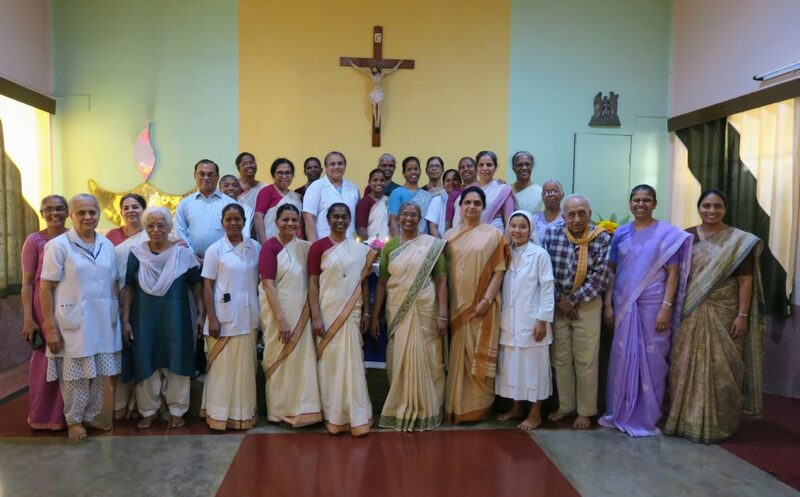 The provincial of Medical Mission Sisters (MMS), Sister May Packiam and Philomena Kottoor, SCN, provincial of Patna singed a “Memorandum of Understanding of the MMS & SCN Partnership” in Kurji Holy Family Hospital, Patna, on March 16, 2019. The witnesses were Rev. Father Prem Prakash, vicar general of Patna Archdiocese and Sister Mary Tessy, provincial of Notre Dame Sisters. Others present were Rev. Father John D’Mello, SJ, the administrative coordinator, many MMS Sisters, and SCNs. Kurji Holy Family Hospital was founded by the Medical Mission Sisters (MMS) in 1939. As the years went by, MMS needed other like-minded religious groups to continue the healing ministry of Kurji Holy Family Hospital. Thus, in the year 2000, it became a joint venture in which the MMS and the Sisters of Charity of Nazareth (SCN) came together to further its mission of healing. Alert and responsive to the signs of the times, the hospital endeavors to respond to the various health needs of the community. The dignity of the human person supersedes all other considerations and there is no discrimination of class, caste, gender or religion. To provide compassionate, quality health care at a low cost is the aim, and the hospital puts all its resources – human, material and spiritual – at the service of the sick and for the promotion of health and well being.